Agrochemical giant Monsanto has been sued by the City of San Diego and the San Diego Unified Port District for selling chemicals the multinational knew were harmful to the ecology, including that of the now heavily polluted San Diego Bay. According to the San Diego Reader, city agencies filed suit on Monday, alleging Monsanto hid its knowledge of the toxicity of polychlorinated biphenyls (PCBs). Despite being aware of these facts, the company peddled its chemical compounds for industrial use, including shipbuilding, electrical component manufacture, food packaging and paint plasticizers. The city and port were previously held responsible by the San Diego Regional Water Control Board for the bay’s pollution, resulting in fines of $949,634. The city set aside $6.45 million to improve the Shipyards Sediment Site, the most notoriously polluted section of the bay. City and port authorities have already sued shipbuilding companies BAE and NASSCO, and are now going for Monsanto. "PCBs manufactured by Monsanto have been found in Bay sediments and water and have been identified in tissues of fish, lobsters, and other marine life in the Bay,” the city said in the lawsuit. “PCB contamination in and around the Bay affects all San Diegans and visitors who enjoy the Bay, who reasonably would be disturbed by the presence of a hazardous, banned substance in the sediment, water, and wildlife. Monsanto was the practically the only PCB producer in North America, marketing the products under the name Aroclor from 1930 to 1977, according to US Centers for Disease Control and Prevention. The lawsuit claimed Monsanto had known about the risks of inhaling or ingesting PCBs since the 1930s. 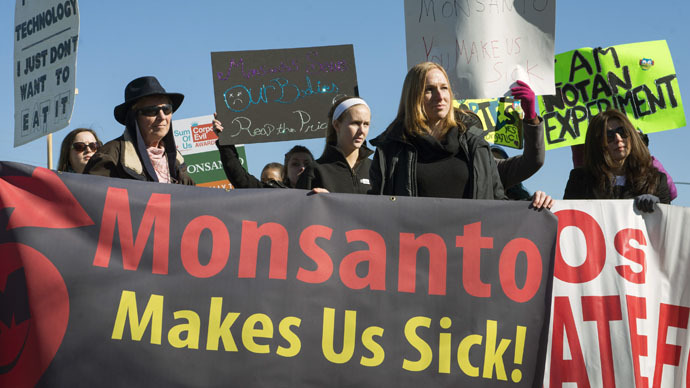 A report from 1969, the suit noted, showed that a Monsanto committee discussed ways to continue propagating the organic pollutants, which have been linked to non-Hodgkin lymphoma by the International Agency for Research on Cancer, among others. "There is little probability that any action that can be taken will prevent the growing incrimination of specific polychlorinated biphenyls as nearly global environmental contaminants leading to contamination of human food (particularly fish), the killing of some marine species (shrimp), and the possible extinction of several species of fish eating birds,” the internal Monsanto report said. "Secondly, the committee believes that there is no practical course of action that can so effectively police the uses of these products as to prevent environmental contamination. There are, however a number of actions which must be undertaken to prolong the manufacture, sale and use of these particular Aroclors as well as to protect the continued use of other members of the Aroclor series." Through the suit, the city and port want to recoup costs of removing PCBs from the bay and for loss of natural resources. PCBs have been banned in the United States since 1979. Much of Monsanto’s PCB production occurred in plants based in Anniston, Alabama and Sauget, Illinois, just across the Mississippi River from St. Louis. In 2013, a Missouri appeals court ruled that a lawsuit -- alleging PCBs produced by Monsanto caused cancer -- could move forward in a reversal of a lower court’s decision. The case, according to attorneys for the plaintiffs, is monumental given the plaintiffs alleged “general population” -- and not occupational -- exposure. “The case represents the first time that injured victims have sought to hold a company accountable for producing a chemical that has contaminated the entire planet, including every person in the United States,” wrote Allen Stewart, P.C., a Dallas law firm that handles lymphoma claims.